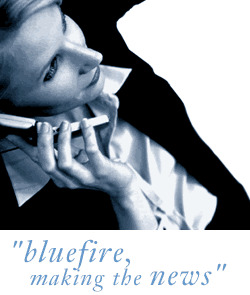 Bluefire Consulting | Customer Support Advisor : "business to business" "inbound" "customer service" "SLA"
We are currently looking to recruit a business to business customer support advisor for our client based in Tadcaster. For this role You will be responsible for taking inbound technical service calls from publicans and outlets that require immediate assistance with their beer dispense equipment. As their first point of contact, you will be approachable, helpful, and provide a high level of customer service, aiming to go through a support process with the intention of resolving technical issues on the phone, prior to arranging an engineering service call if required. For this reason, it is essential that you come from a strong telephone customer service background as while technical training will be given, the essential skill we look for is to the ability to converse with business customers and manage the support process through from start to finish. The benefits of this position include 30 days holiday, Bupa health care, Pension and life assurance. The role will involve working as part of a shift rota, which would involve some weekends and bank holidays, so you should be flexible regarding the working week, which would be typically around 37.5 hours. Due to the location of the company, you should ideally have your own transport or be located on a main public transport route to Tadcaster - free car parking is available. "business to business" "inbound" "customer service" "SLA"